Pretty much everyone from this part of the world wants to work for the Big 3 (Etihad, Emirates and Qatar). These are undeniably the GIANTS of the Gulf region. And who would be crazy enough not to want to wear those glorious looking uniforms and fly to every part of the world on every aircraft type and variant out there? 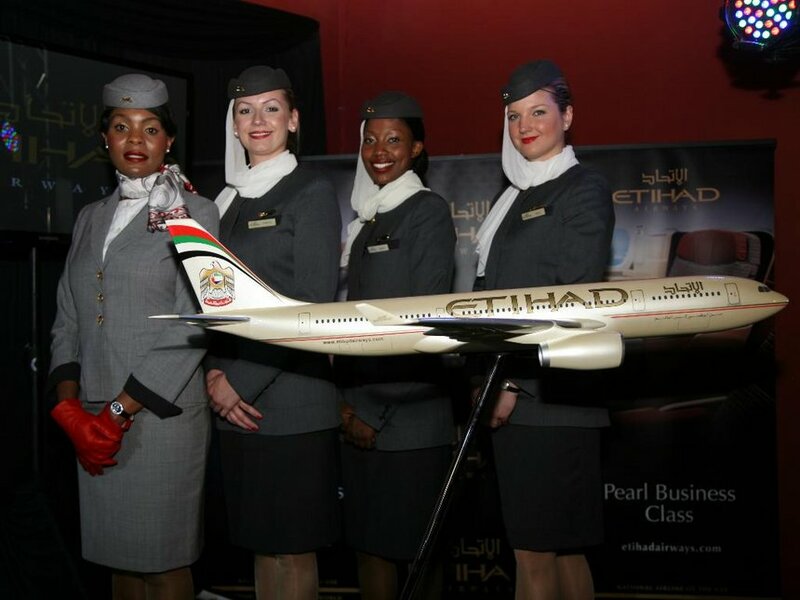 Regular worldwide cabin crew recruitment events for these airlines are scattered all over the globe. While we pretty much don’t want to burst your bubble or kill your dream of ever becoming crew in the UAE one day, here is a list of requirements that you need to know before you apply. Most of them are non-negotiable, so see if you qualify to become a member of their cabin crew. You have to have an arm reach of 212cm whilst you are tip toeing (and that’s pretty tall). No body piercings should be visible whilst wearing the cabin crew uniform, other than one earring in the lower lobe of each ear for females only (bandages and cosmetic coverings are not permitted). You should never ever have been convicted of a criminal offense. You must be confident in water and be able to swim with the aid of a flotation device. You must be a high school graduate (Grade 12) or equivalent. You must be fluent in English (Written and Spoken). Fluency in another language is an added advantage. You must be willing to comply with UAE and GCAA visa, medical and health screening requirements. You must be willing to relocate to the UAE. Well, there you have it. If you pretty much aced the requirements checklist feel free to visit our Jobs page CLICK HERE to see if either Emirates, Etihad or Qatar are having recruitment events in your country or region and you can apply. Also, we would love to hear from you, all day, every day. Tell us what you think about this post in the comments section. If you liked what you just read, please share with your friends; and don’t forget to like us on Facebook. Yes! Ϝinally something I have always wanted to know about Flight Attendants.